Golden Moments is the brainchild of 3 young and enterprising Singaporeans with one simple mission: to bring families closer through handcrafted quality Durian Delicacies. At Golden Moments, we want you to enjoy our products made from the heart, imbuing the value of building meaningful relationships over quality conversations. We want to bring together like-minded durian lovers like you who appreciate and treasure the Golden Moments of relationships. 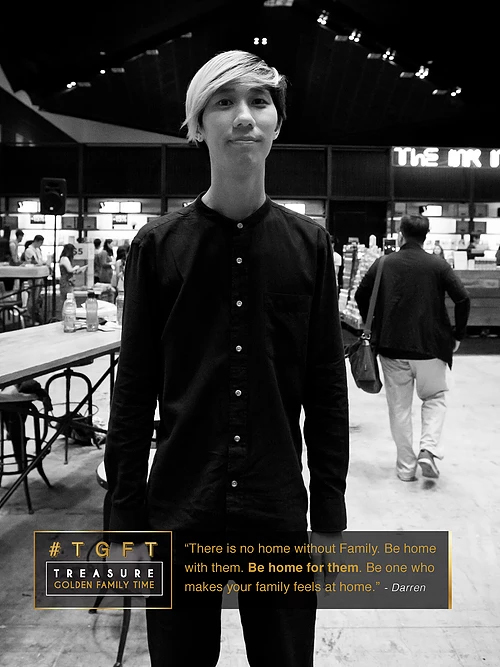 TGFT (Treasure Golden Family Time) is a Social Movement to encourage the spending and preservation of Golden Family Time with your loved ones.